If you love a soft white with, barely-there yellow undertones, I have the PERFECT white spray paint for you! 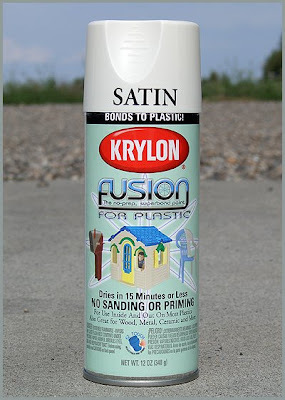 Krylon Fusion for Plastic is not just for plastic but is great for painting wood, metal, ceramic and lots of other surfaces. It's great because it eliminates the two really annoying steps of sanding and priming! (How simple is that?) It also dries in less than 15 minutes! Oooh...loving it more every second! 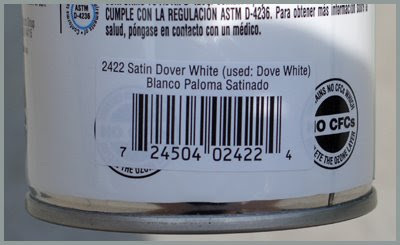 Look for the sticker on the back that reads: 2422 Satin Dover White. You're going to LOVE it! My list of items to paint is getting longer every day! 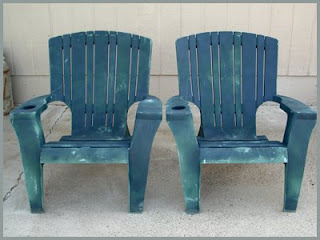 It's truly amazing what a little paint and some creativity can accomplish! How to Transform a Frame with Paint!